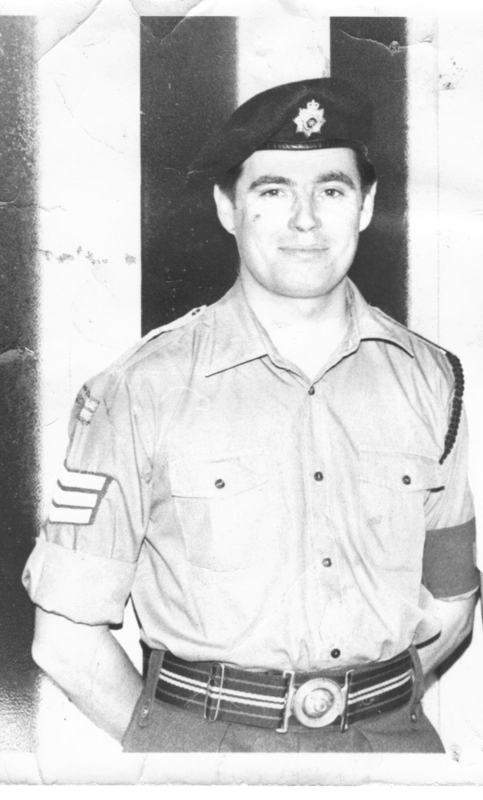 Before we begin, we’d like to thank all of you who have checked out the site in the past week. Since we’ve kicked off our share campaign, we’ve had so many new visitors and heard from many of them, too! Reading your feedback – whether a recommendation, some praise, a question, or just a brief, “Hello!” – brings us great joy and helps us to know that you all are out there. Whether you’re a regular reader or visiting the site for the first time, we’d like to ask you for a little favor. If you see some math you like, share it with someone who you think would like it, too! Do you love the burst of excitement that you get from reading about a new mathematical idea, seeing an original piece of math artwork, or trying out a new game? Do you know someone who would love that, too? Then tell them about Math Munch – we’d love to spread the joy. If you enjoy Math Munch, join in our “share campaign” this week. You can read more about the share campaign here. There are lots of ways to participate, and you can let us know about your sharing through this form. We’d love to see the share total rise up to 1000 over the course of the next week. This beautiful tessellated wooden box was made by computer scientist and mathematical artist Kevin Lee. I met Kevin two weeks ago at the MOVES conference (which Justin and Paul have both written about already). Kevin teaches computer science at Normandale Community College in Minnesota. He makes woodcut tessellations (which won an award for the “Best Textile, Sculpture, or Other Medium” at the Joint Mathematics Meetings art exhibition this year!). He’s also used a combination of his knowledge of computer science and his love of Escher-type tessellations to make software that helps you create tessellations. His new software, TesselManiac!, is due out soon (watch this short movie Kevin made about it for the Bridges conference), but you can download an older version of the software here and play a preview version of The Flipping Tile Game. To play this game, you must fill in an outline of a tessellation with the piece given. You can use any of four symmetry motions – translation (or shift), rotation, reflection, or glide reflection (which reflects the tile and then translates it along a line parallel to the line of reflection). 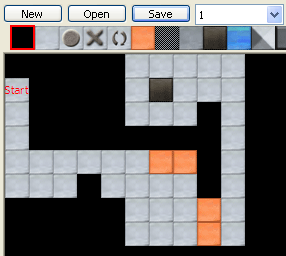 You get points for each correct tile placed (and lose points if you have to delete). Translations are the simplest, and only give you 5 points each. Reflections are the most difficult – you get 20 points for each one used! While you’re downloading The Flipping Tile Game, try one of Kevin’s Dot-to-Dot puzzles. These are definitely not your typical dot-to-dot. Only the portion of the image corresponding to one tile in the tessellation is numbered. 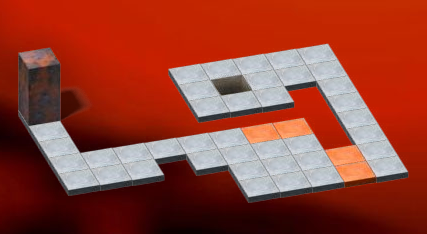 Once you figure out the shape of that single tile, you have to figure out how to number the rest of the puzzle! Will Achilles lose the race??? Check out this great video from Numberphile that explains both the paradox and the solution. While I was looking for information about this paradox, I stumbled across a great math resource site called Platonic Realms. 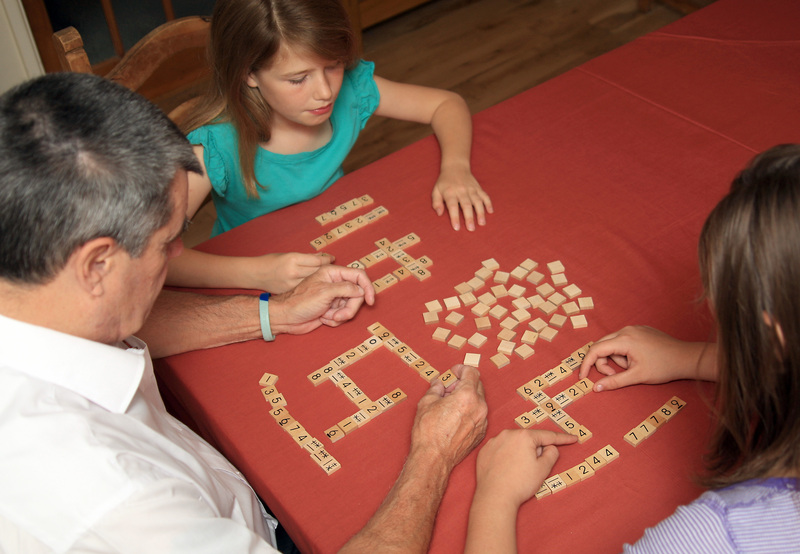 The homepage of this site has a daily historical fact, mathematical quote, and puzzle. The site hosts a math encyclopedia with explanations of all kinds of math terms and little biographies of famous mathematicians. You can also read “mini-texts” about different mathematical topics, such as this one about M. C. Escher (the inspiration behind the art at the beginning of this post!) or this one about coping with math anxiety. I hope we here at Math Munch have given you something to tantalize your mathematical taste buds this week! If so, we’d love it if you would pass it along. Thank you for reading, and bon appetit! P.S. – We’ve posted a new game, suggested to us by one of our readers! It’s an online version of Rush Hour. Check it out! The second reason why I think this sum is amazing is that it adds to pi divided by four. Pi is an irrational number – meaning it cannot be written as a fraction, with whole numbers in the numerator and denominator. And yet, it’s the sum of an infinite number of rational numbers. 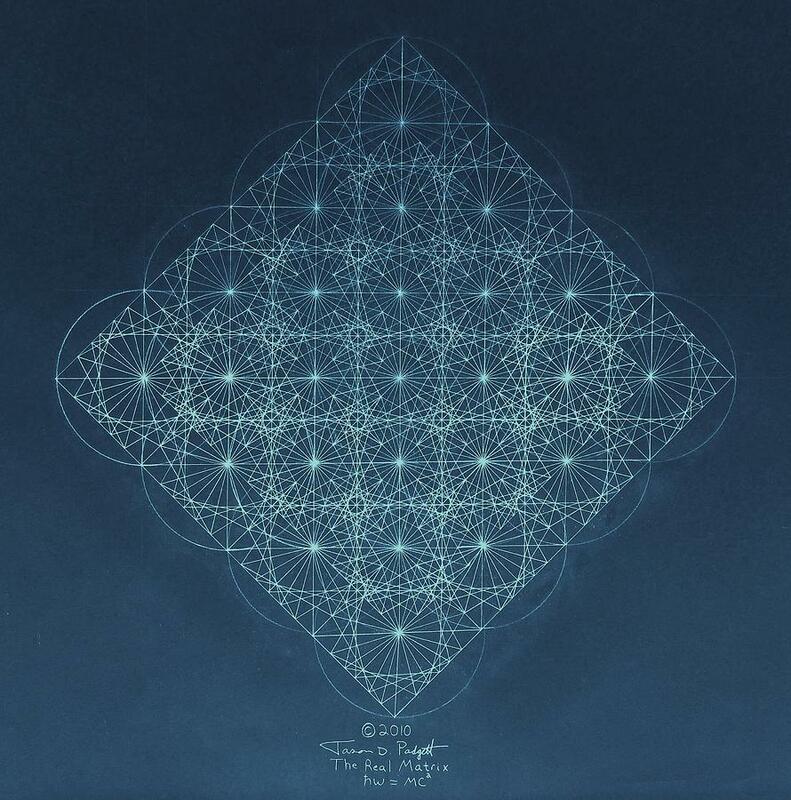 In this video, mathematician Keith Devlin talks about this amazing series and a group of mathematical musicians (or mathemusicians) puts the mathematics to music. This video is part of a larger work called Harmonious Equations written by Keith and the vocal group Zambra. Watch the rest of them, if you have the chance – they’re both interesting and beautiful. Looks like a bunch of cells under a microscope, doesn’t it? Well, it’s also a cellular automaton, devised by mathematician Stephan Rafler from Nurnberg, Germany. In this paper, Stephan describes the mathematics behind the model. If you’re curious about how it works, check out these slides that compare the new continuous version to Conway’s model. Finally, I just got a pumpkin. What should I carve in it? I spent some time browsing the web for great mathematical pumpkin carvings. Here’s what I found. A pumpkin carved with a portion of Escher’s Circle Limit. A pumpkin tiled with a portion of Penrose tiling. A dodecapumpkin from Vi Hart. I’d love to hear any suggestions you have for how I should make my own mathematical pumpkin carving! And, if you carve a pumpkin in a cool math-y way, send a picture over to MathMunchTeam@gmail.com! … knots! 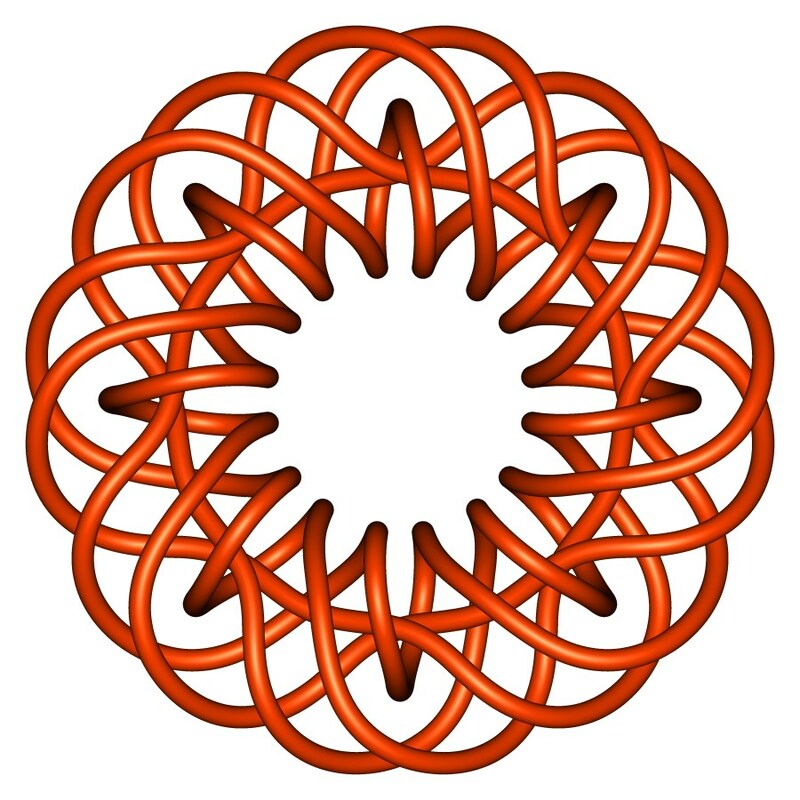 This nifty site, Knot Theory Online, is full of interesting information about the study of mathematical knots and its history and applications. For some basic information, check out the introduction to knots page. It talks about what a knot is, mathematically speaking, and some ways that mathematicians answer the most important question in knot theory: is this knot the unknot? 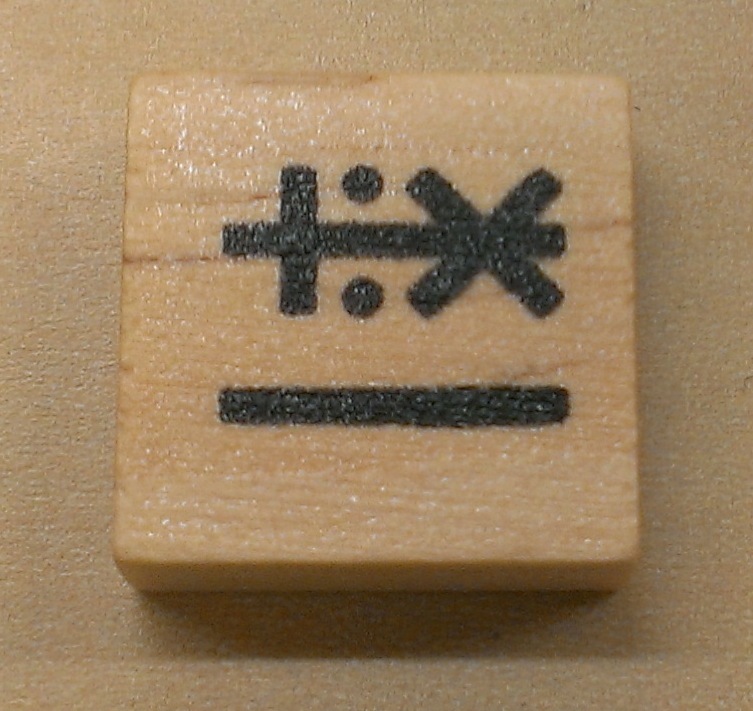 The site also has some fun games in which you can play with transforming one knot into another. Here’s my favorite: The Hunt for the Elusive Trefoil Knot. Knots can also be works of art – and this site, Knot Plot, showcases artistic knots at their best. Here are some images of beautiful decorative knots. 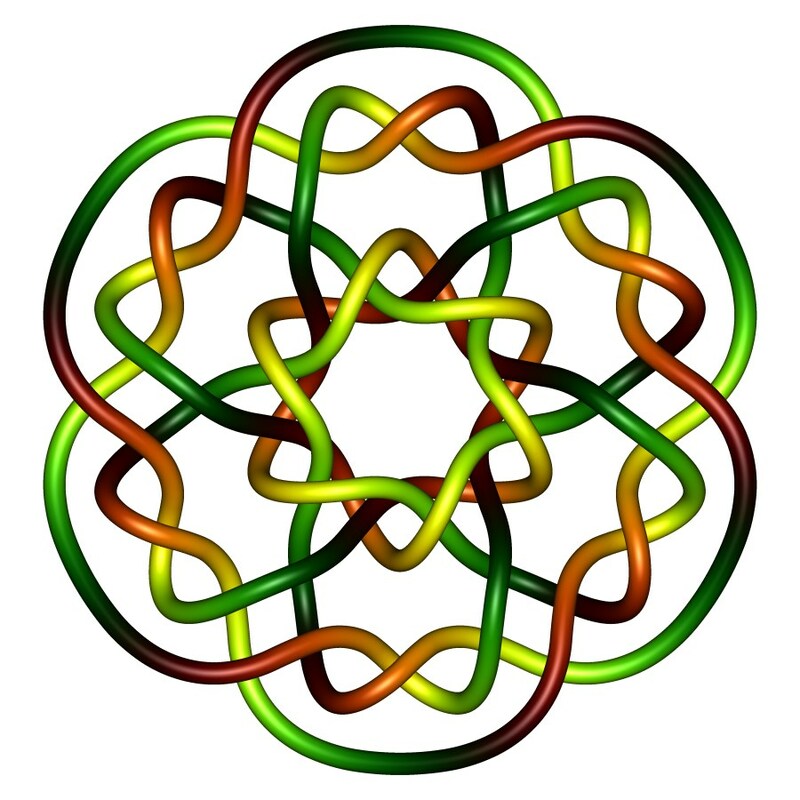 A really cool thing about knot theory is that it is a relatively new area of mathematical research – which means that there are many unsolved knot theory problems that a person without a lot of math training could attempt! Here’s a page of “approachable open problems in knot theory,” compiled by knot theorist and Williams College professor Colin Adams. 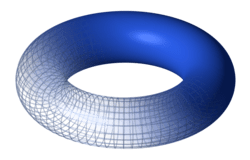 One of a topologist’s favorite objects to study is one that you might encounter at breakfast – the torus, or donut (or bagel). To get a sense for what makes a torus topologically interesting and for what life might be like if you lived on a torus (instead of a sphere, a topologically different surface), check out Torus Games. 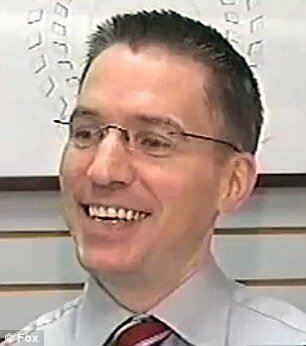 Torus Games was created by mathematician Jeff Weeks. You can play games that you’d typically play on a plane, in flat space – such as Tic-Tac-Toe, chess, and pool – but on a torus (or a Klein bottle) instead! 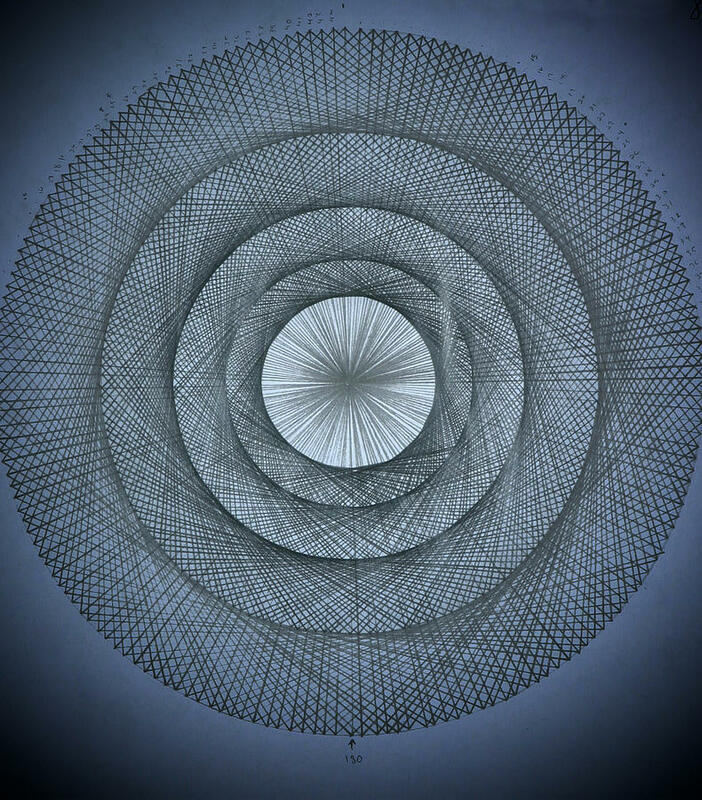 A maze – on a torus! By the way, you can find Torus Games and other cool, free, downloadable math software on our new page – Free Math Software. 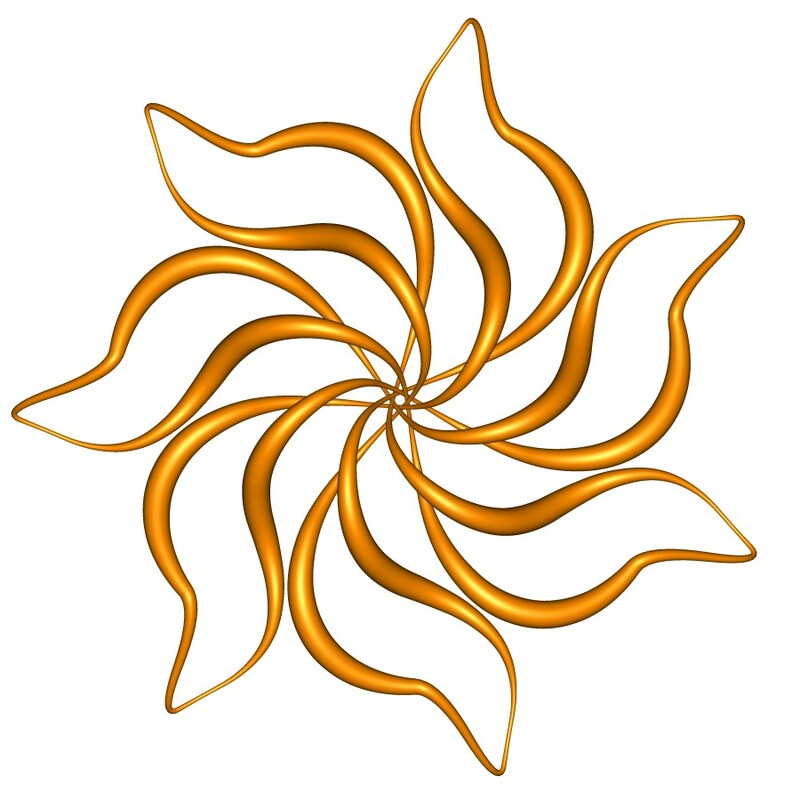 You’ll find links to other software that we love to use – such as Scratch and GeoGebra, and another program by Jeff Weeks called Curved Spaces. All this talk of tori making you hungry? 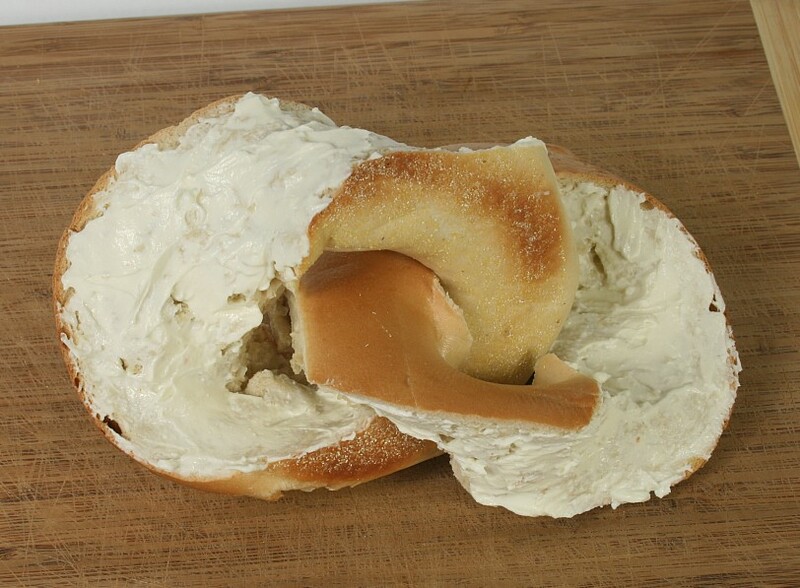 Go get your own tasty torus (bagel), and try this fun trick to slice your bagel into two linked halves. This topologically delicious breakfast problem was created by mathematical artist George Hart. 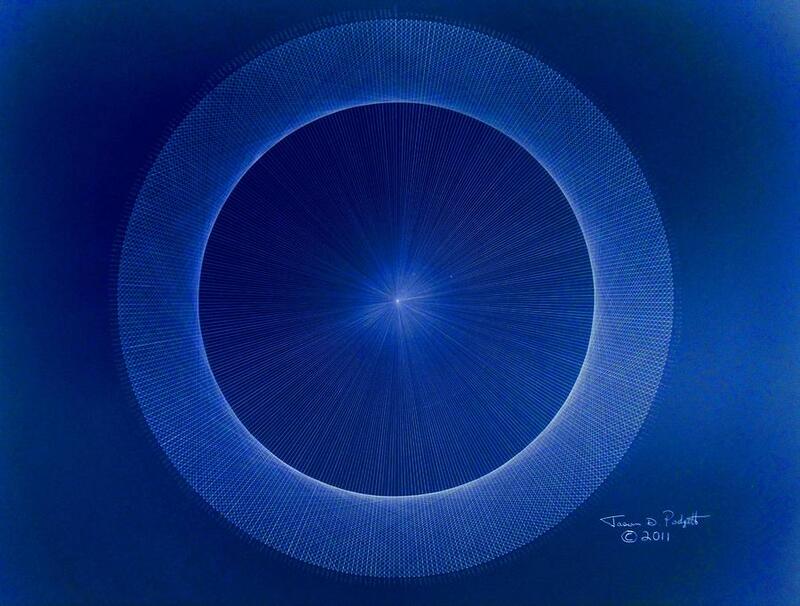 This is called, “Towards Pi 3.141552779 Hand-Drawn,” and it’s by mathematician and artist Jason Padgett. Jason wasn’t always a mathematician or an artist. 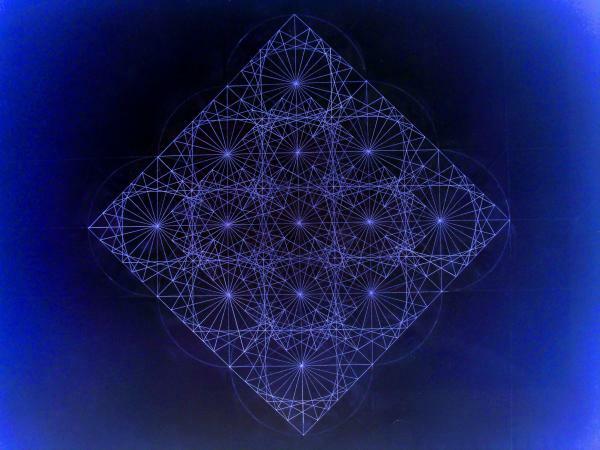 In fact, it was only after a severe head injury that Jason suddenly found that he “saw” fractals and other geometric images in mathematical and scientific ideas. Jason is interested in limits. The picture above, for example, is Jason’s artistic interpretation of a limit that approaches pi. If you draw a circle with radius 1 and make polygons inside of it using secants for their sides, the areas of the polygons get closer and closer to pi as the number of sides increases – but always stay less than pi. If you take that same circle and make polygons around it using tangents for their sides, the areas of the polygons also get closer and closer to pi as the number of sides increases – but always stay larger than pi. Jason tried to draw the way that those sequences “trap pi” in this picture. Next, did you like Sondra Eklund’s sweater from last week? Did it inspire you to do some mathematical knitting of your own? If so, check out the website Woolly Thoughts. The “Finite Field” afghan is a color-coded addition table using binary. The “Fibo-Optic” afghan is made to look like a flying cube using side-lengths based on the Fibonacci sequence. Finally, one of the programs featured in the new Math Art Tools link is TinkerCAD. TinkerCAD is a program you can use to make 3D designs – just because, or to print out with a 3D printer! TinkerCAD has three parts: Discover, Learn, and Design. In the Discover section, you can browse things that other tinkerers have made and download them to print yourself. There are some really cool things out there, like this Father’s Day mug made by Fabricatis and this sail boat made by Klyver Boys. Next, in the Learn section, you can play different “quests” to hone your TinkerCAD skills. Finally, in the Design section, you can make your own thing! TinkerCAD is really intuitive to use. The TinkerCAD tutorial video is really helpful if you want to learn how to use TinkerCAD – as are the quests. Stay tuned for pictures of some TinkerCAD things made by friends of Math Munch!